A mother and her two daughters, who were plotting to carry out terrorist attacks in the UK, had their plans thwarted by a proactive joint investigation by counter-terrorism police and the security services. One of the daughters was found guilty today, Monday 4 June, for her part in the plots, with her sister and mother having previously pleaded guilty to preparation of terrorist acts. Following a trial at the Old Bailey, Safaa Boular, 18 (29.03.2000) of south-west London, was found guilty of two counts of preparation of terrorist acts, contrary to section 5 of the Terrorism Act (TACT), 2006. Her sister, Rizlaine Boular, 22 (06.01.1996), of central London and their mother, Mina Dich, 44 (29.01.1974), of south-west London both previously pleaded guilty to preparation of terrorist acts contrary to section 5 TACT, 2006. 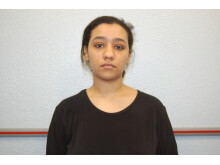 A fourth woman who was also arrested as part of the investigation - Khawla Barghouthi, 21 (13.02.1997), of north-west London - previously pleaded guilty to having information about acts of terrorism contrary to section 38 TACT, 2000. Mina, Rizlaine and Khawla have been remanded in custody until their sentencing, which is due to take place at the Old Bailey on 15 June. Safaa is also remanded in custody and will be sentenced on a date to be confirmed. Deputy Assistant Commissioner Dean Haydon said: "This investigation started with Safaa, and her attempts to travel out to Syria, marry a Daesh fighter and support their terrorist activity. Having been prevented from travelling to Syria, she then set about plotting an attack in the UK but her plans were being covered by the counter terrorism network and security services. "After Safaa was arrested and charged, her mother and sister tried to pick up where she left off. But again, working with the security services, we tracked their plans and stopped them before they were able to put them into practice. "All three women were filled with hate and toxic ideology and were determined to carry out a terrorist attack. Had they been successful, it could well have resulted in people being killed or seriously injured. "But thanks to the work of the security services and counter terrorism police, their plans never came to fruition." The Met's Counter Terrorism Command launched its investigation in August 2016 when police officers spoke to Safaa during a Schedule 7 port stop on her return to the UK from a trip to Morocco. At this point, Safaa - who was 16 at the time - made indications that she was planning to travel to Syria to join Daesh. Two days later on 22 August 2016, Mina reported them both as missing. Further enquiries led police to find and arrest both Safaa and Rizlaine at a hostel in north-west London. Both admitted that they were planning to travel to Syria in order to live under the Daesh regime, but insisted they simply wanted to live there peacefully and had no intention to carry out any terrorist acts. Officers seized mobile phones and digital devices from the sisters and they found several conversations between Safaa and a UK national who was fighting for Daesh in Syria. The conversations showed that Safaa was, in fact, planning to marry the Daesh fighter and included discussions between them about her wearing a suicide belt. Their enquiries also revealed Safaa was sharing and supporting Daesh propaganda material online. Safaa was subsequently charged on 12 April 2017 with preparation of terrorist acts in relation to her plans of joining and supporting Daesh in Syria. However, whilst she had been on police bail, Safaa remained in contact with the person she planned to marry in Syria. It was during this time on bail that Safaa shifted her attention from travelling out to Syria to committing an attack in the UK. Unbeknown to Safaa, people she was discussing her attack with online were not fellow extremists, but online role players from the security services. Believing she was communicating over encrypted and secure apps, Safaa discussed her plans and desire to get hold of firearms and grenades, or 'pineapples' as they were referred to. She also discussed with them potential targets in central London and the possibility of using a vehicle and knife to carry out an attack as an alternative to firearms. After Safaa was charged on 12 April 2017, she remained in touch with her mother and sister whilst on remand. It was during this time that both Mina and Rizlaine hatched their own plans to carry out an attack. Officers carried out surveillance of both Mina and Rizlaine, and subsequently uncovered their plans. Various phone conversations between Safaa, who was in custody, her sister and their mother were recorded during which they discussed plans to have a 'tea party'; their code for carrying out an attack. These conversations continued for around two weeks. On 25 April 2017, officers tracked Mina and Rizlaine driving in and around the Westminster area. They passed a number of major landmarks as they carried out what officers believed to be reconnaissance on potential locations for their attack. The following day, both Mina and Rizlaine went to a supermarket in Wandsworth, where they purchased a pack of three kitchen knives. Officers recovered the receipt for the knives after Mina threw it away and also retrieved the pack of knives and an old rucksack after Mina discarded the items in a bin on her journey home that evening. Tellingly, the largest of the knives had been retained by Rizlaine - officers believed this was the weapon she was planning to use to use to carry out her attack. On 27 April 2017, and still under surveillance, Rizlaine was heard discussing her attack plans with Khawla at her home in north-west London, describing how she would carry out the knife attack. Shortly after 19:00hrs that day, armed officers entered the address to arrest Rizlaine and Khawla. During the operation, Rizlaine was shot by police. She was taken to hospital for treatment and discharged three days later. At the same time, Mina, who was visiting Safaa in custody, was also arrested. Following their arrest, detectives recovered various electronic devices from both Rizlaine's and Mina's address, on which they found various Islamist extremist content including Daesh propaganda and Al Qaeda-related material. Both Rizlaine and Mina were subsequently charged with preparation of terrorist acts. Khawla was also charged with terrorism offences and was convicted as above after she admitted knowing about the plans, and not alerting the police or authorities to them.